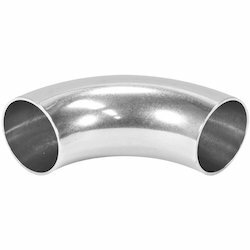 We have carved a niche amongst the most dominant names in this domain, engaged in offering Tube Weld Elbow. 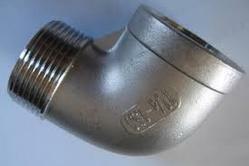 Being a quality centric organization, we offer Stainless Steel Elbow to our esteemed clients. Our range is highly acclaimed for their high performance, long life and top quality. These are also offered in varied dimensions, grades and sizes. Furthermore, these can be availed at reasonable prices. ... Manufacturing these 'VS' Fittings for chemical applications like toxic gas handling is not like manufacturing any ordinary fitment. Fittings live upto those standards perfectly. Male elbow tube and male strainght connector. Sri Kanith Trading & Co.